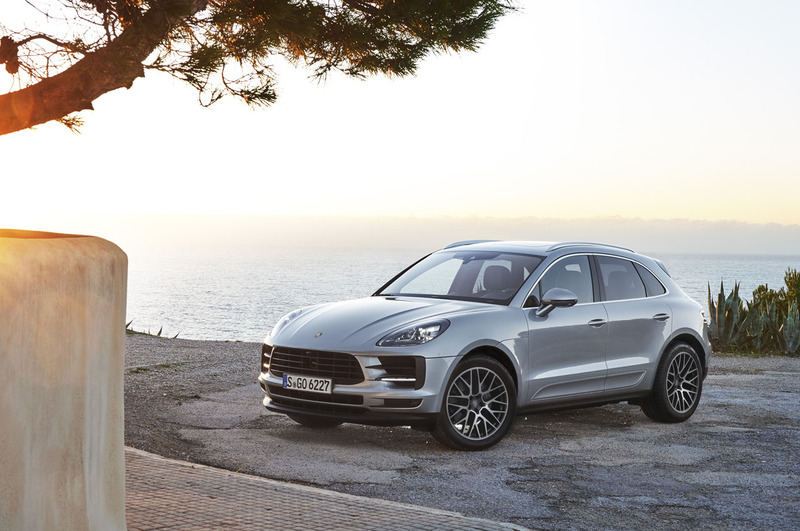 We covered the refreshed 2019 Macan when it was first introduced last summer, but Porsche didn’t offer up a lot of specific details at the time. 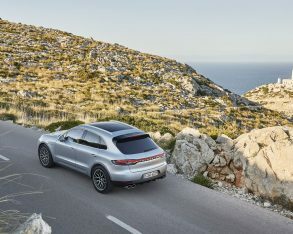 Thanks to its North American debut at the Los Angeles Auto Show late last month, and little more info that was just released we now know a little more. 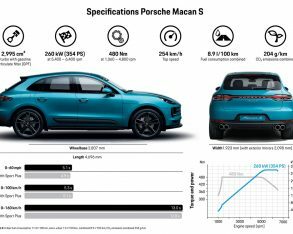 When the new 2019 Macan goes on sale next summer it will get a $1,400 price hike in its most basic four-cylinder form resulting in an MSRP of $55,500 plus freight and fees. 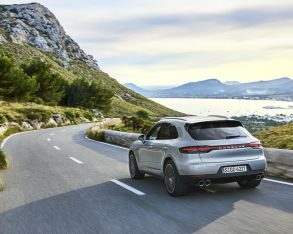 As expected, that car will house the same 2.0-litre four as the current 2018 model, although so far Porsche is claiming four fewer horsepower at 248 and an identical 273 lb-ft of torque with no effect on performance that’s still advertised at 6.7 seconds from zero to 100km/h in base form or 6.5 with the Sport Chrono Package, while this powertrain will once again come mated to Porsche’s seven-speed automated dual-clutch PDK transmission driving all four wheels. 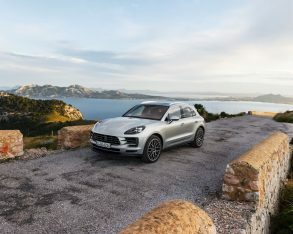 While this will be good news for the small handful of Macan buyers focused on fuel economy, most fans of the compact luxury SUV segment’s sportiest offering will be happier to know that it’s more popular Macan S trim line gets a significant performance boost for 2019, while its $63,000 price is only $1,600 dearer than last year’s version. 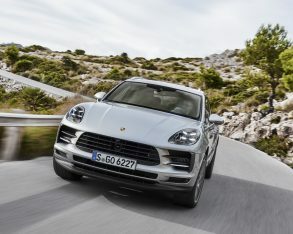 The upgraded 2019 Macan S will utilize the single twin-scroll turbocharged 3.0-litre V6 first introduced with the base Cayenne and then in the Panamera, which despite maintaining the same three litres of displacement as the previous Macan S engine yet losing half of its turbos now produces an additional 15 lb-ft of torque for a new total of 354 lb-ft. 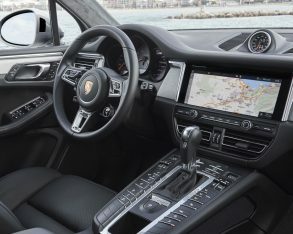 Even more impressive the latter twist arrives at a very tractable 1,360 rpm, which is 1,000 rpm sooner, while its horsepower rating is now set to 348, which is eight horsepower more than the previous model. 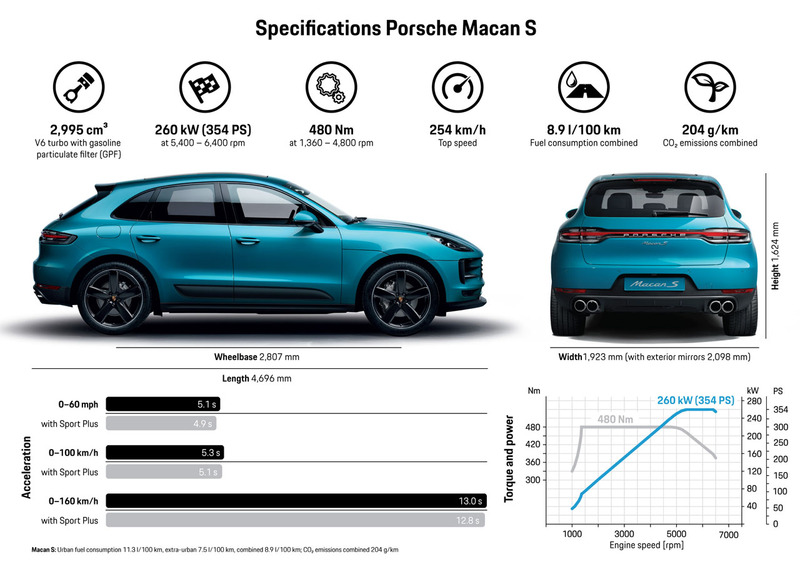 This allows 2019 Macan S performance to improve from a 5.4-second sprint to 100km/h in last year’s model, or 5.2 seconds with the Sport Chrono Package, to 5.3 and 5.1 respectively with the new 2019, while its top track speed remains 254 km/h. 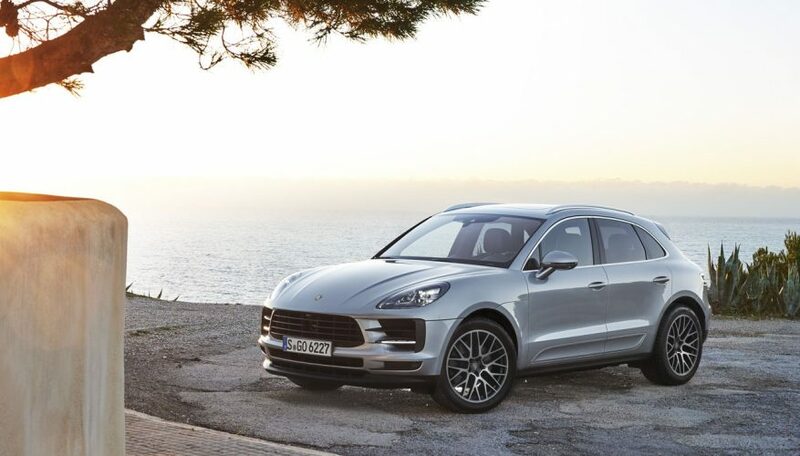 Fuel-economy is said to be better too, although no claimed Canadian rating is available. 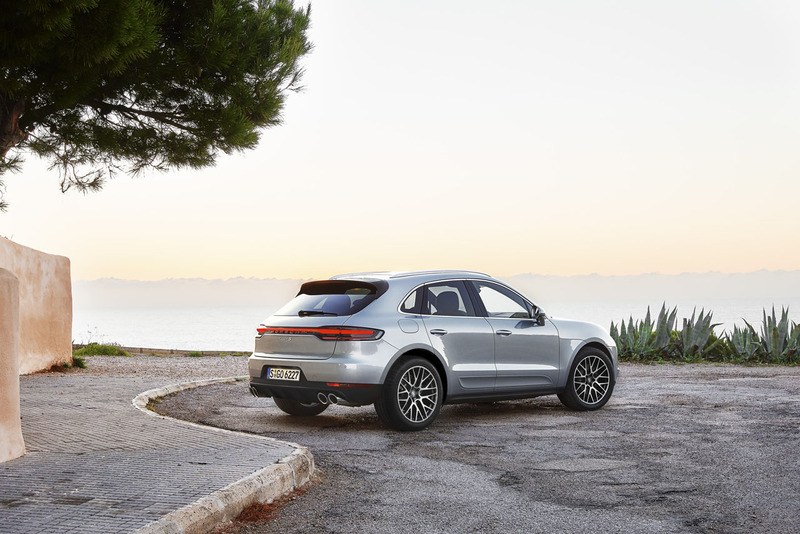 Along with the powertrain and driveline upgrades, the new Macan’s front suspension uses more aluminum for 1.5 kilos of weight reduction, while new staggered wheel sizes provide easier turn-in up front and more grip in the back where a set of 295/40R20s combine with 265/45R20 front rubber in Macan S trim. 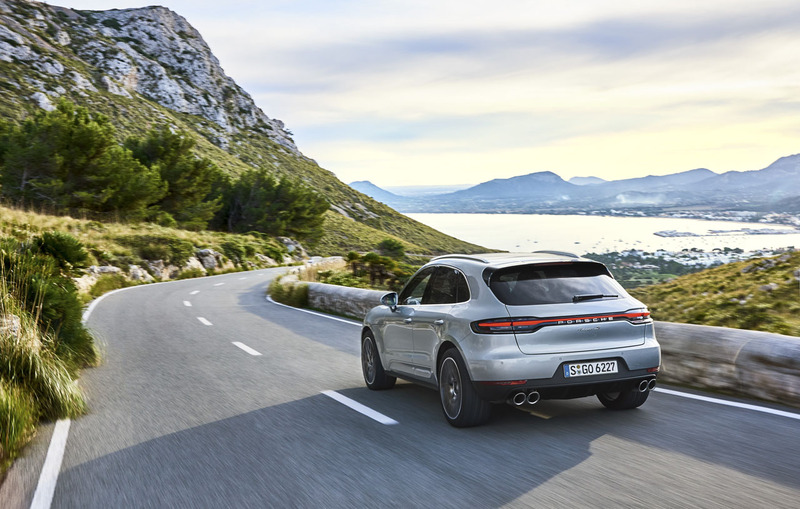 Lastly, an available adaptive suspension system allows for greater comfort in Normal mode and better performance when Sport+ is selected, all adjustable from a button on the centre console. 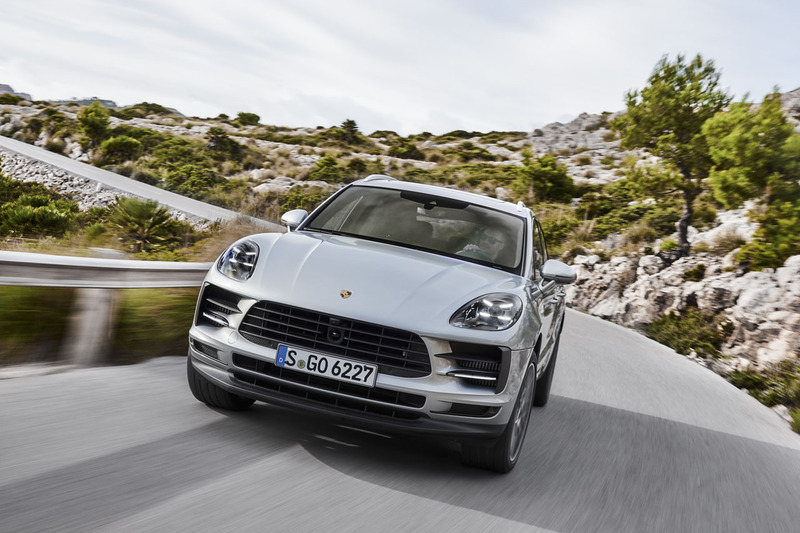 Of note, the Porsche Traction Management (PTM) all-wheel drive system is capable of distributing all of the Macan’s torque to the rear wheels when warranted, or alternatively up to 70 percent to those in the front if traction requirements cause need. 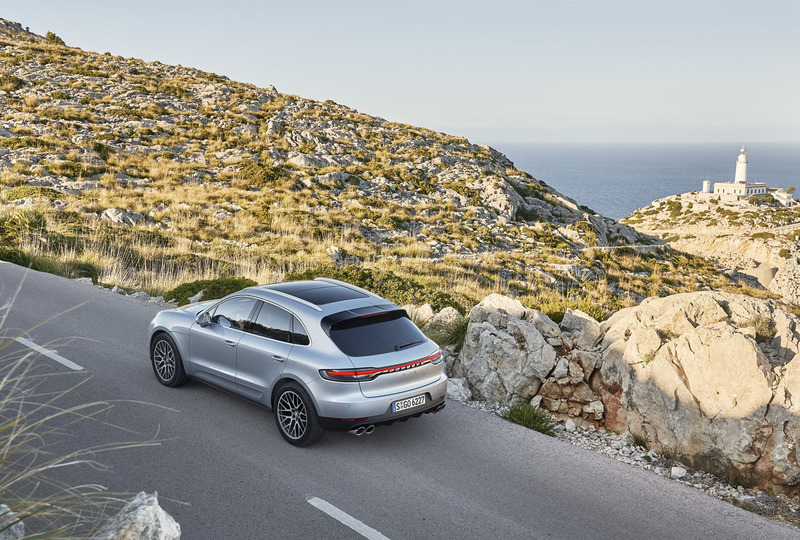 What’s more, the 2019 Macan’s traction can be further enhanced via newly developed 20- and 21-inch performance tires. 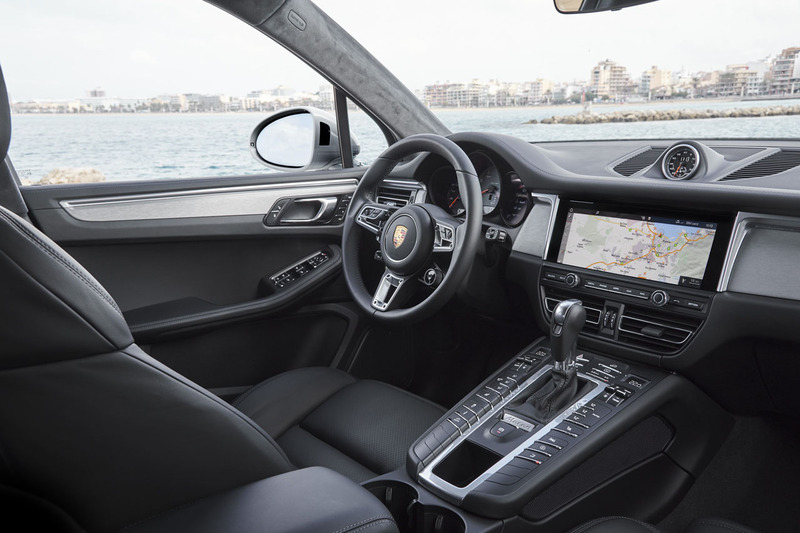 Inside, the most obvious 2019 Macan upgrades are digital, beginning with a new 10.9-inch full-HD Porsche Communication Management (PCM) touchscreen replacing the 7.2-inch unit in the outgoing model. The new interface makes for a stunning visual statement, thanks to much sharper, clearer resolution, plus enhanced graphics to complement the improvement in screen quality and increased size. 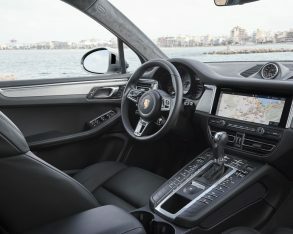 Likewise, the system’s operating system is faster, which will no doubt improve the speed of new standard intelligent voice control and the now standard navigation system’s mapping adjustments, plus other functions, while Porsche claims that it’s more intuitively designed for easier use, this due in part to predefined tiles that allow personal customization. 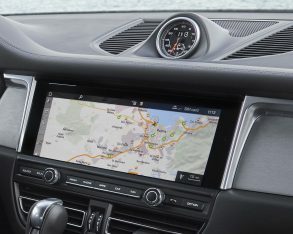 Additionally, Apple CarPlay smartphone integration is now standard, but you won’t be able to connect your Android device via Alphabet’s (Google’s) Android Auto system, which remains unavailable. 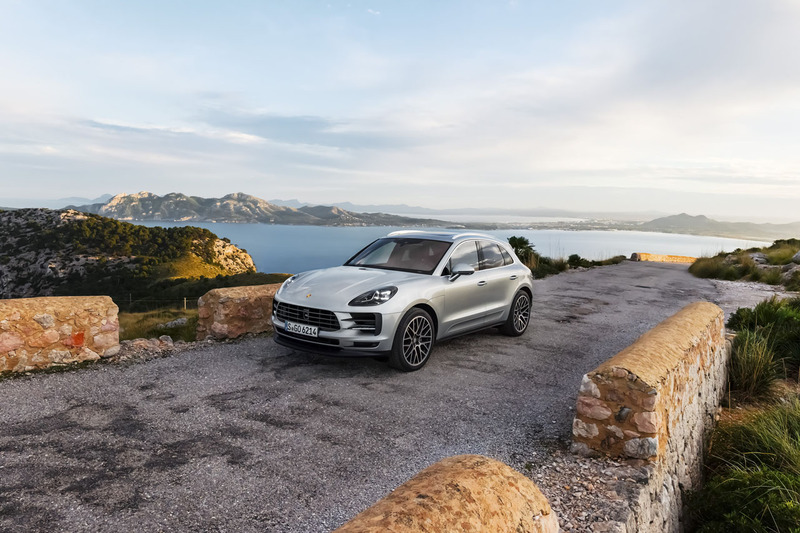 Porsche has made its Connect Plus module standard, however, which means that every new Macan is fully networked for real-time traffic information. A key element of this system is “Here Cloud”, which utilizes swarm-based traffic data to find you the quickest route to your destination. 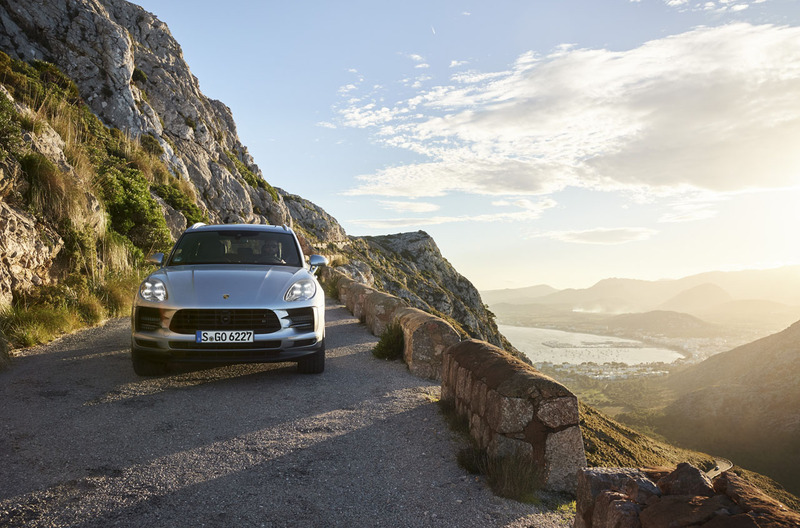 What’s more, the Macan’s new Offroad Precision App makes it possible to record and analyze off-road driving experiences. 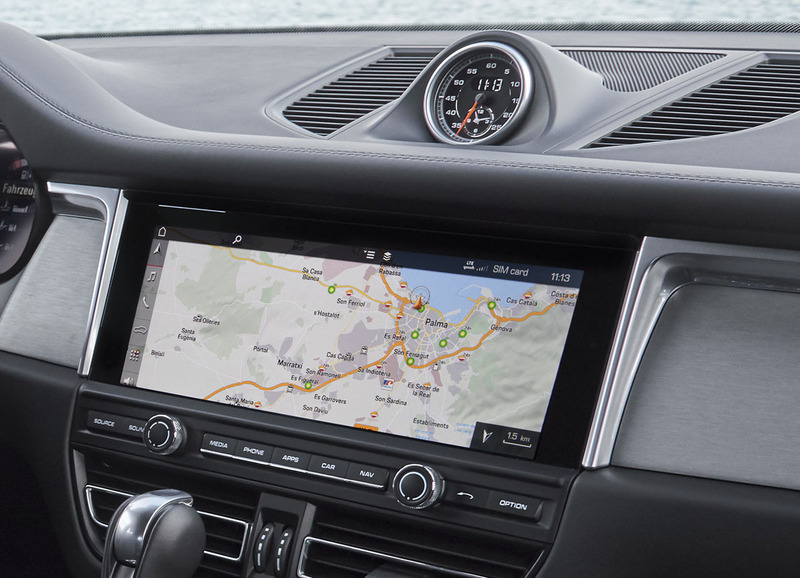 With the centre stack now housing a larger, wider infotainment display it was necessary to move the air vents from their previous positions at each side of the screen to a new location just below the display. Additionally, the audio/HVAC control panel, which slots between the two, is now wider and narrower. 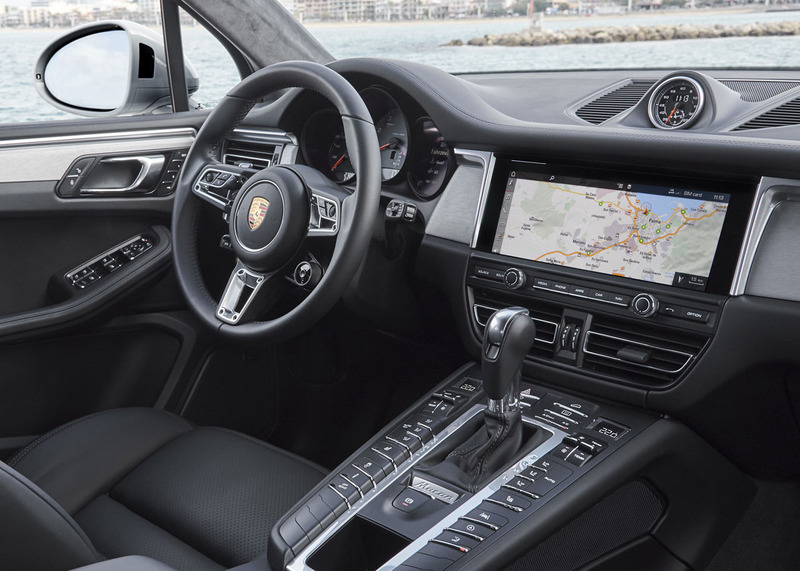 While the latter features are standard, the 2019 Macan will let you upgrade its standard steering wheel to a special GT sports version sourced from the 911, while adding the Sports Chrono Package will place the brand’s Sport Response Button on the right-side spoke. 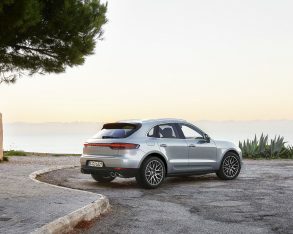 Comfort options will also improve, with a new ionizer and heatable windscreen now available, while the Macan’s suite of advanced driver assist systems adds adaptive cruise control with Traffic Jam Assist, which allows semi-autonomous driving amid congested, slow-moving traffic at speeds up to 60 km/h, with the ability to automatically steer, accelerate and brake. 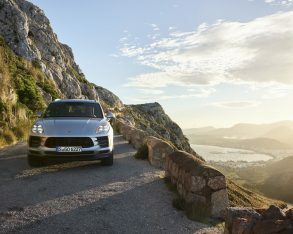 On a more practical note, the rear seating area remains large enough for two adults side-by-side in comfort, whereas the cargo compartment carries up to 500 litres of gear with the 40/20/40-split rear seatbacks upright and 1,500 litres when they’re folded flat.